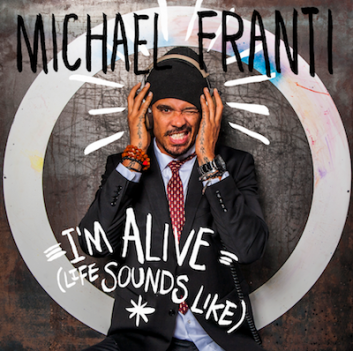 One of the most respected, socially active artists in music, Michael Franti returns with the first new single, “I’m Alive (Life Sounds Like),” from his forthcoming eighth studio album. All People (Capitol Records) will be released on July 30th. The fast-paced, rhythmic anthem marks Franti’s first new single in two years, and has moved into the Top 15 on the AAA charts in just 3 weeks, was released digitally on April 30th. Franti’s impressive career spans decades, albums and many achievements. The singer, poet and activist has amassed an extensive and rabid fanbase, and draws sell-out crowds by virtue of his electrifying live shows. Michael Franti is recognized as a pioneering force in using music as a vehicle for social activism. In the mid-Nineties,Franti formed Spearhead following his punk band The Beatnigs and the hip hop-inflected The Disposable Heroes of Hiphoprisy. To stream “I’m Alive (Life Sounds Like) and to get more official Michael Franti news and tour information go to www.michaelfranti.com.